Two weeks ago, I wrote about the details on Kobo’s two upcoming e-readers, the Kobo Aura One and the Aura Edition 2. Both e-readers are now available for pre-order at the Kobo store. The Kobo Aura One features a 300 ppi 7.8″ Carta E Ink screen with 8GB of memory. It has an enhanced IPX8 rating making it waterproof for up to 60 minutes in two meters of water. It also features a lighting system called ComfortLight PRO which allows for adjustment of the front-lighting and includes an orange nighttime reading light to cut down on blue light emissions which can interfere with sleep. It also directly integrates OverDrive library software with the Kobo store. The Aura One retails for $229.99 and includes free shipping for pre-orders. 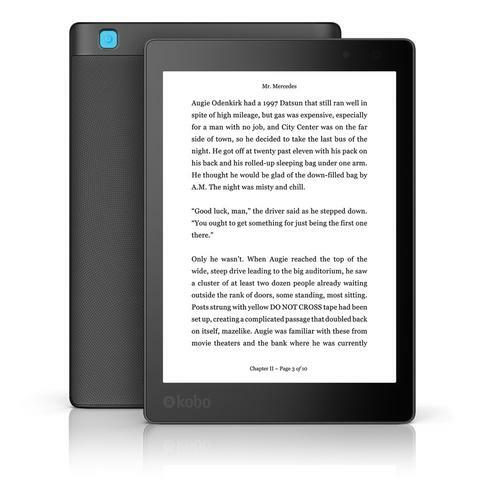 The Kobo Aura Edition 2 has a 212 ppi 6″ Carta E Ink screen, 4GB of memory and ComfortLight adjustable front-lighting (without the orange nighttime reading light). The e-reader seems to be a newer version of the Aura HD. The Aura Edition 2 will retail for $119.99 and includes free shipping for pre-orders. I am very interested in the Aura One because of the Overdrive library integration, although I really don’t want a bigger e-reader. I am going to watch this one to see what the reviews are like once the Overdrive component goes live. What about you? Are you interested in either of new Kob e-readers? If you get one, please leave a comment and let us know what you think. 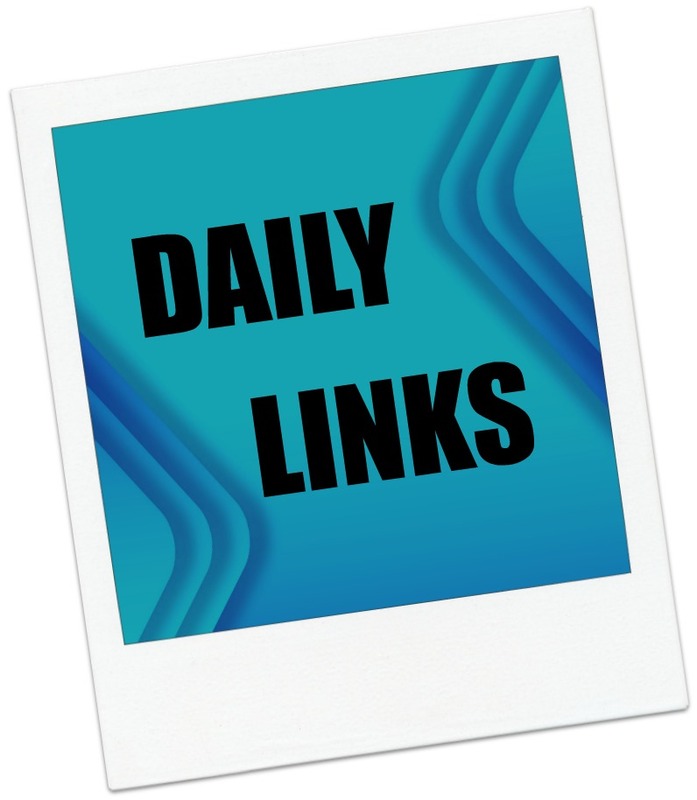 Daily Links and Deals: Has consumer tech forgotten the baby boomers? Today, an article that asks if consumer tech products are meeting the needs of baby boomers. Also, some of the Samsung Galaxy Note 7 phones are exploding and it looks like the end of the line for Google’s Nexus. In deals, a Samsung Virtual Reality headset. The end of Nexus: This year’s Google phones to forge new path (Android Central) It seems that this is the end of the line for the Nexus branding. Sling used to say it wasn’t promoting cord cutting. Now it’s running cord-cutting ads. (Recode) This showcases both a change in strategy for the company and the always delightful Danny Trejo. Has consumer tech forgotten the baby boomers? (Recode) An interesting look at the particular tech needs of this age group. Samsung halting some Galaxy Note 7 shipments following multiple user device explosions (9 to 5 Google) Um, you might want to hold off on upgrading for a bit…. Especially as there are stories about the phones mysteriously cracking inside bags. Amazon’s selection of Kindle Daily Deals includes Epic: Legends of Fantasy (Memory, Sorrow, and Thorn) edited by John Joseph Adams. With contributions from George R R Martin, Patrick Rothfuss, Robin Hobb, and Paolo Bacigalupi. In Today’s Deals, the Samsung Gear VR – Virtual Reality Headset (US Version with Warranty). The Barnes and Noble Nook Daily Find is your choice of three history books for $1.99 each. The Romance Daily Find is Famous in Love by Rebecca Serle. Kobo’s Daily Deal is Map of Bones: A Sigma Force Novel by James Rollins. The Extra Daily Deal is Friends With Benefits Box Set (Books 1-3) (Friends With Benefits Series) by Luke Young. iTunes’ Weekly Bestsellers Under $4 includes Show Dog by Josh Dean. Today, a collection of free children’s books online. Also, what happens when you lend someone your phone and they break it? You can get free books and WiFi on the NY subway and the FCC decides not to appeal the municipal broadband ruling. The etiquette of breaking someone’s phone, and having your phone broken (The Next Web) Food for thought here. How do you deal with this? Enter an Archive of 6,000 Historical Children’s Books, All Digitized and Free to Read Online (Open Culture) Many of the free books we find are not appropriate for children. Most of these are read online, not downloadable. New York subway is offering free ebooks (and Wi-Fi) for your commute (Tech Crunch) I say “meh.” While the short reads might be nice, extended excerpts are just samples under another name. FCC admits defeat in municipal broadband, won’t appeal court loss (Ars Technica) It is over for now, although the FCC is not ruling out other options. This is disappointing. Amazon’s selection of Kindle Daily Deals includes Fallen: A Cassidy & Spenser Thriller (Cassidy & Spenser Thrillers Book 2) by Carey Baldwin. In Today’s Deals, a Belkin 3-Outlet SurgePlus Mini Travel Swivel Charger Surge Protector with Dual USB Ports (I have these; they are great!). The Barnes and Noble Nook Daily Find is The Taco Cleanse: The Tortilla-Based Diet Proven to Change Your Life by Wes Allison, Stephanie Bogdanich, Molly R. Frisinger, Jessica Morris. The Romance Daily Find is One Night: Promised by Jodi Ellen Malpas. Kobo’s Daily Deal is Only Time Will Tell (The Clifton Chronicles Book 1) by Jeffrey Archer. The Extra Daily Deal is Summer Island by Kristin Hannah. 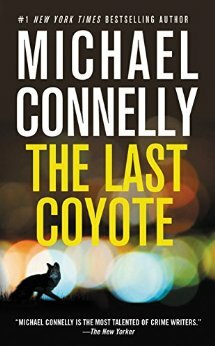 There is also a selection of Great Reads Under $5 and Bargain Reads in Fiction, in Mystery and other genres. iTunes’ Weekly Bestsellers Under $4 includes The Passage by Justin Cronin. 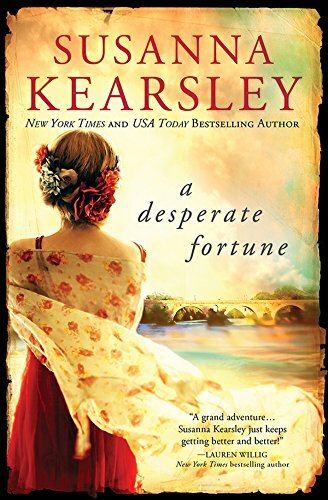 Amazon’s selection of Kindle Daily Deals includes A Desperate Fortune by Susanna Kearsley. In Today’s Deals, a Kwikset 99130-002 SmartCode 913 UL Electronic Deadbolt lock. Also, you can also still get $15 off the regular price of the Amazon Tap and the Certified Refurbished Amazon Echo for $150. The Barnes and Noble Nook Daily Find is Half a King by Joe Abercrombie. The Romance Daily Find is Girls’ Poker Night: A Novel of High Stakes by Jill A. Davis. Kobo’s Daily Deal is The Firm A Novel by John Grisham. The Extra Daily Deal is 300 Days of Sun A Novel by Deborah Lawrenson. iTunes’ Weekly Bestsellers Under $4 includes The Headmaster’s Wife by Thomas Christopher Greene. Google Books has a selection of Science Fiction & Fantasy reads.